1.Snapdeal: Snapdeal’s undergone a makeover this year with an upmarket, bright-red rebranding. It carries over nicely to its Christmas initiative, where it’s letting users donate towards shelters for stray animals. Snapdeal’s created a video called Timmy and Josey’s Christmas Surprise, where a group of millennials use Snapdeal products to do-over an animal shelter. The animals are cuddly, and Snapdeal urges users to donate to a good cause. Win-win, two legs or four. 2. Nestaway: Rental platform Nestaway wants to make this Christmas special for the people who enable our lives through the year. “Imagine your life in the absence of your domestic help, the cab driver, your electrician or that the delivery guy who brings your happiness home in the form of the food or the book you ordered. These are our Invisible Supermen and Wonder Women,” its blogpost says. 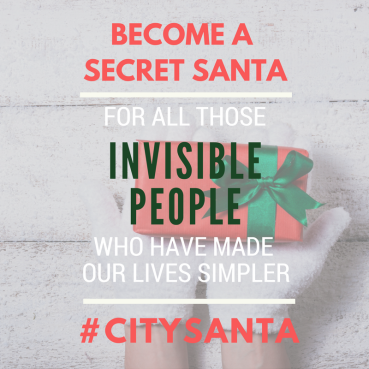 The company is letting its users become Secret Santas for Christmas, and they can go around their cities surprising these unsung heros with gifts like blankets, sweater and food items, that are generously sponsored by Nestaway. 3. Zoomcar: Zoomcar decided to play Secret Santa for one of its housekeepers, and threw them a surprise birthday bash for Christmas. 4. Freecharge: Freecharge is making it easier for users to donate to their preferred charities this Holiday Season. Freecharge will let users donate with a click to causes such as World Vision India, Magic Bus, The Akshaya Patra Foundation, and CRY. 5. Uber: For Christmas, Uber is focussing on an issue that assumes increased importance during Christmas and New Year – drunk driving. Uber will be collaborating with Bars Against Drunk Driving (BADD), which includes over 250 bars and several fine-dining restaurants across the country, to ensure patrons to keep the roads safe by avoiding drunk driving. It’ll set up breath analysers at bars, and customers whose blood alcohol limit is above permissible levels will get a free ride from Uber. The company has also launched an initiative where it lets users can buy promo codes for their private parties and “Gift an Uber” to their guests for them to get back home.